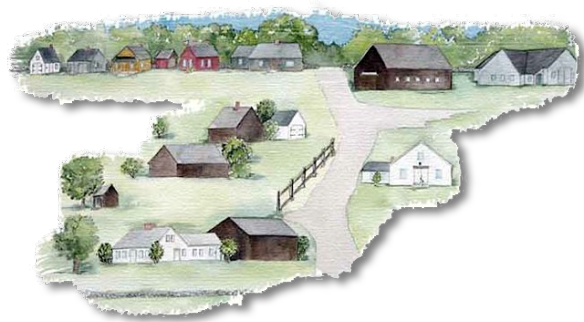 In 1963, Walter Bucklin donated farmland on which the society could build its Old New London village, which has evolved over the years as buildings were moved to the site. Sixteen buildings host exhibits that depict aspects of 19th century life in the New London area. Most of the structures date from the early or mid-1800s. The Meeting House, Hearse House, and Violin Shop are modern reproductions. The Transportation Building is a climate-controlled museum opened in 2001. ► View the village timeline.